M&TG62- is a very well built and cozy 4 bedroom home with a full finished basement, 2 bathrooms and attached one car garage. The main floor has 3 bedrooms and the finished basement has an additional 4th bedroom, plus a large family room, and 2 finished rooms for offices or storage, or extra guests! The property is on a very nicely landscaped corner lot with front and back patios, storage shed and raised garden beds that are fenced separately from the rest of the lawn. The attached one car garage has lots of storage space for your car and your tools. 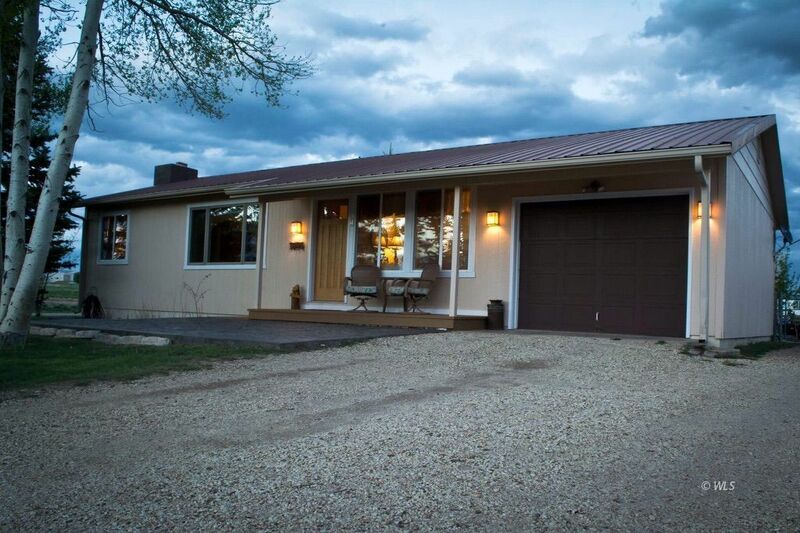 Very nice views of the Sangre de Cristo mountains.Just minutes away from town, school, and post office! Experience the uniqueness of Westcliffe, Colorado, a small town with the grandest views in perhaps the whole world and more mountain hiking trails than you will ever have time to complete. Listed at an affordable $219,900.